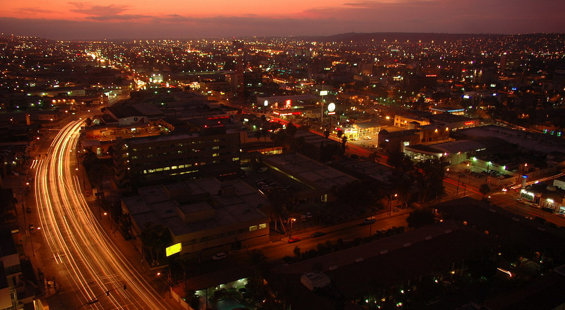 Tijuana is one of the largest and fastest growing cities of Mexico. It is located on the Gold Coast of Baja California and is the municipal seat and the cultural and commercial center of Tijuana Municipality. Tijuana is a growing cultural center and has been recognized as an important new cultural mecca. The city is the most visited border city in the globe; sharing a border of about 24km (15miles) with its sister city between these two cities. Fifty million people cross the border between these two cities every year. Tijuana is a large manufacturing center, and in addition to tourism, it serves as a cornerstone of the city economy. In the past decade alone, Tijuana became the medical device manufacture capital of the North American continent. The city’s proximity to Southern California and its large, skilled, diverse, and relatively inexpensive workforce make it an attractive city for foreign companies looking to establish extensive industrial parks composed of assembly plants that are called maquiladoras, even more so than other cities in the US-Mexican border zone. Binational economic development along the US–Mexico border is key to the development of Tijuana going forward. Multiple regional (San Diego-US/Tijuana-MX) think-tanks exist on both sides of the border that promote such regional collaboration and innovation.